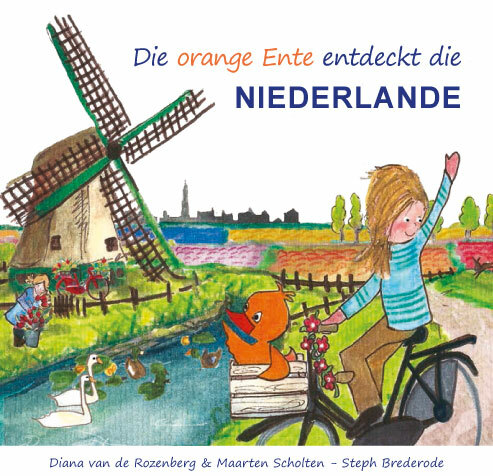 The orange duck explores the Netherlands! Together with his Dutch friend he cycles along tulips, windmills and canals, is introduced to herring and ‘poffertjes’ and celebrates of course the King’s birthday. This cheerful read-aloud book takes children on a journey through the Netherlands. For anyone who wants to share with young children what is so special about this little country behind the dikes.